Did you know that Istanbul is the 11 largest city in the world? The city has about 13 million citizens in an area of 5300 square kilometres. 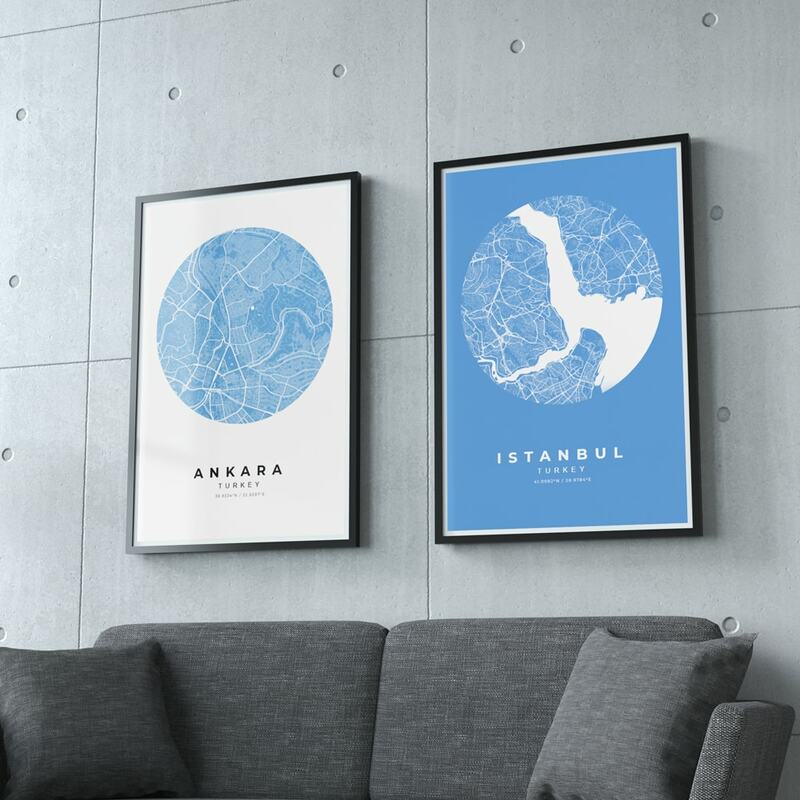 Create your own map of Istanbul. Use different styles & colors to customize your very own map as a gallery print. Our gallery prints are printed on premium 265g HP-paper. We use special color mixtures to capivate the true beauty of your design. Express Shipping for fast deliveries. Free shipping world wide! 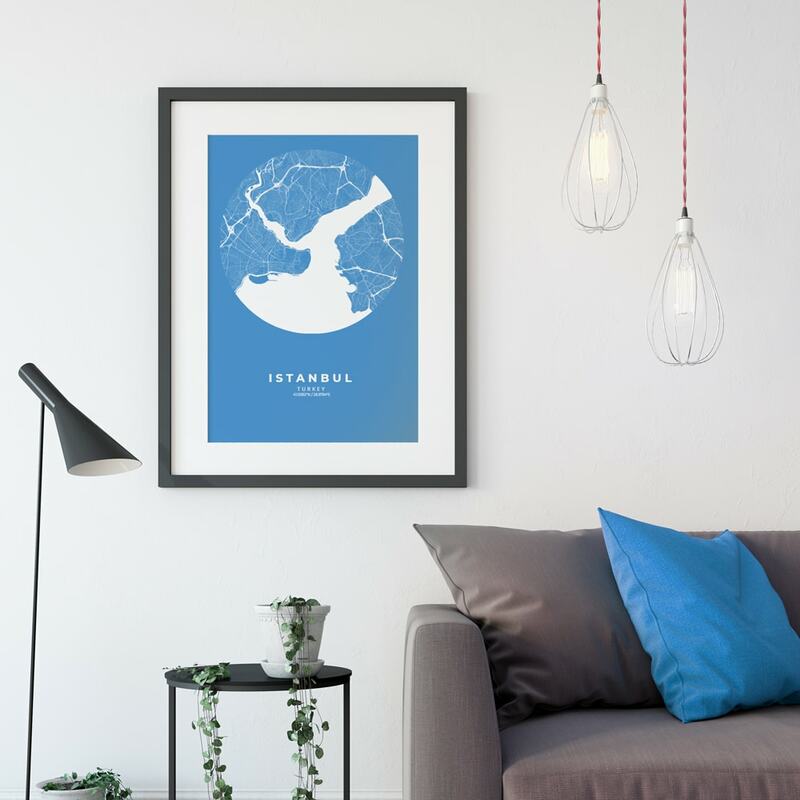 Our gallery prints contian high quality materials and are produced at a manufacturer in the core of Vienna. Budapest is the capital of Hungary. Did you know that both, the inventor of the modern ballpen and the discoverer of Vitamin C were from Hungary? Create your own map of Hungary. Las Vegas is the city of gambling, you are surely not gambling with this classy blue & white style. Berlin is the capital of Germany. Did you know that the city has to remove about 11400 square meters of graffiti from their trams each month? Not cool, better use our creator for your art. Did you know that Barcelona has the largest city park in the world? With an area of 84 km², Barcelona’s Parc de Collserola is 22 times larger than Central Park in NYC. This style brings you back to your last summer vacations. Choose your favourite city with this great style. Did you know that the London Underground is the oldest and largest in the world? The subway system transfers over 1 passengers each year. Join our VIP list and stay informed about new products, specials and projects from yourmap.io. We also sometimes send coupons and discounts to our VIPs.